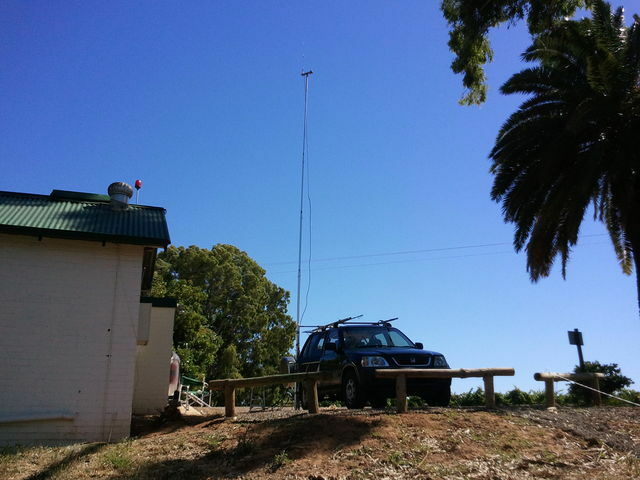 Thank you Doug, VK3AWO, for your help, support and friendship over the past years. 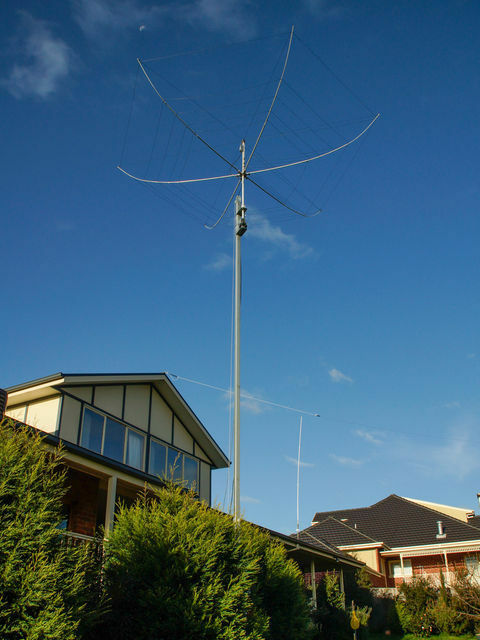 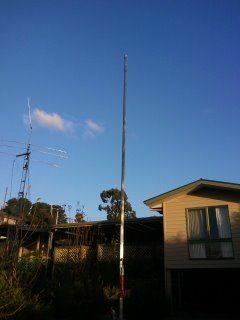 Gary from Tasmania shows how easy it is to service the antenna now. 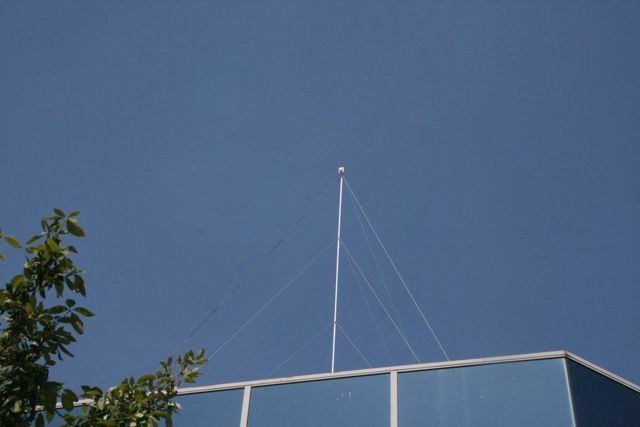 This is NOT an NBS Masts in Doveton but shows how a mast can be bent when guyed incorrectly. 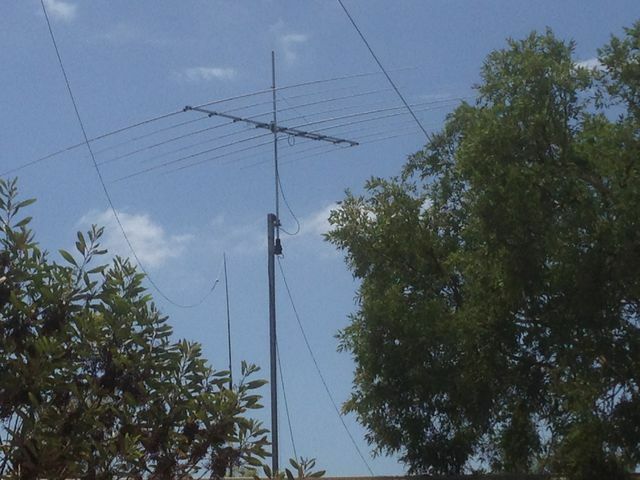 Normall too much tension on the guy wires or ropes.